ABOVE POSTER IS A SAMPLE!! 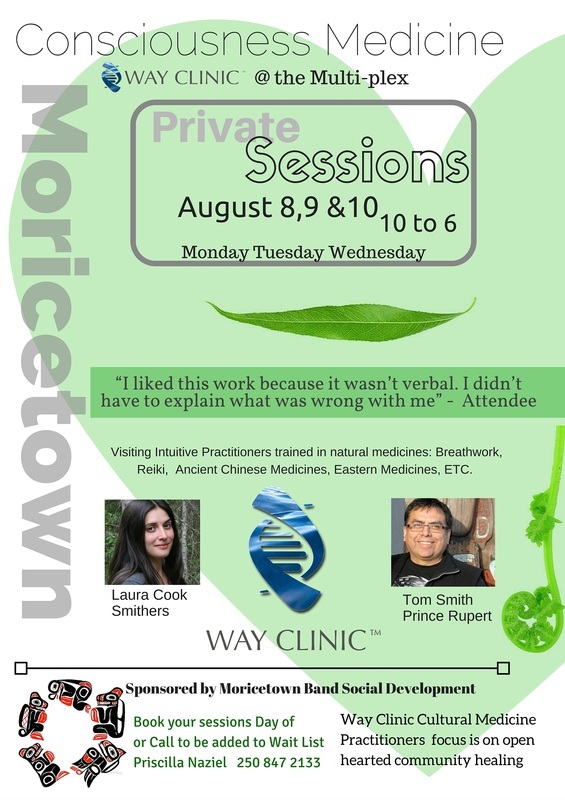 An Event for those would like to explore the dynamics between our emotions, the 5 senses and how we paint our experience of the world with our beliefs and filters. 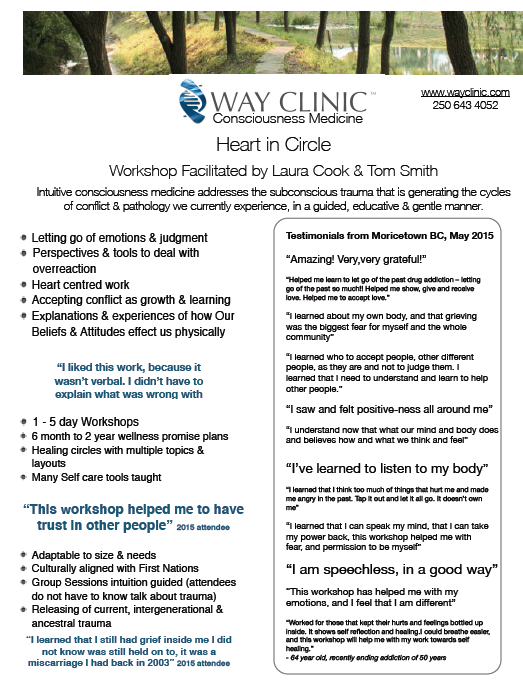 Way Clinic Facilitators supprt group discussion and sessions which address the subconscious trauma that is generating the cycles, of conflict and pathology we currently experience, in a guided, gentle manner. In a group session we all experience intense shifting, so be aware that even if you are not on the table, you will experience healing and shifts in your limiting beliefs! Any breakdown in communication within our system's relationships can create self-limiting beliefs and behaviours that can hold us back from experiencing what we truly desire. By bringing these self-limiting beliefs to light, a shift in perspective can occur and in turn, allow us to see the world with a clearer lens. 2. New perspectives for your relationships and conflicts! 3. An overall sense of grounding and connection with one’s self and others. 5. Transform your body and life!